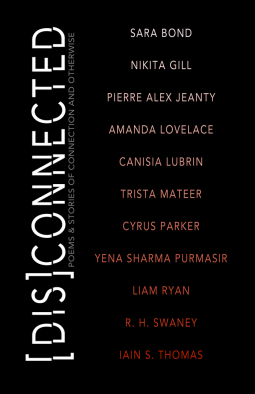 Review: This was a really great collection of poetry and short stories. The fact that contemporary poets are paired together to write short stories based on the other's poem is such a great premise and a great exercise in creative writing too. I loved the way the poems and stories connected together and the way each poet chose to interpret lines or ideas in each others poems and use that as a starting point from the story. Some stories highlight words and phrases from the poem that have been used and some include a note on how they have interpreted the poem. This was really helpful as a reader. I particularly enjoyed Cyrus Parker's poem and story, both were real but dark and I liked that reality. Another Entry that I really enjoyed was the short story by Yena Sharma Purmasir. The beauty of this is that I have not come across this poet before and so I will now go out and see what else I can find that they have written-genius! I didn't connect with each and every poem and story, but again that is the beauty of a collection like this. I did read everything, I discovered new writers and I connected with quite a few poems. 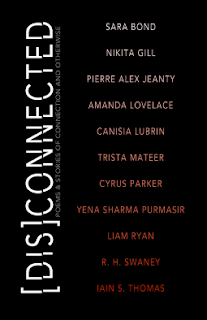 Make sure you check out the content of each of the stories before picking this one up in case there are triggers for you but otherwise, I would really recommend this collection, especially if you are only just discovering these contemporary poets, this is a great mix!